The Canadian retailer and manufacturer of modern furniture and home decor will open two locations in Chicago and a flagship in New York City this year. 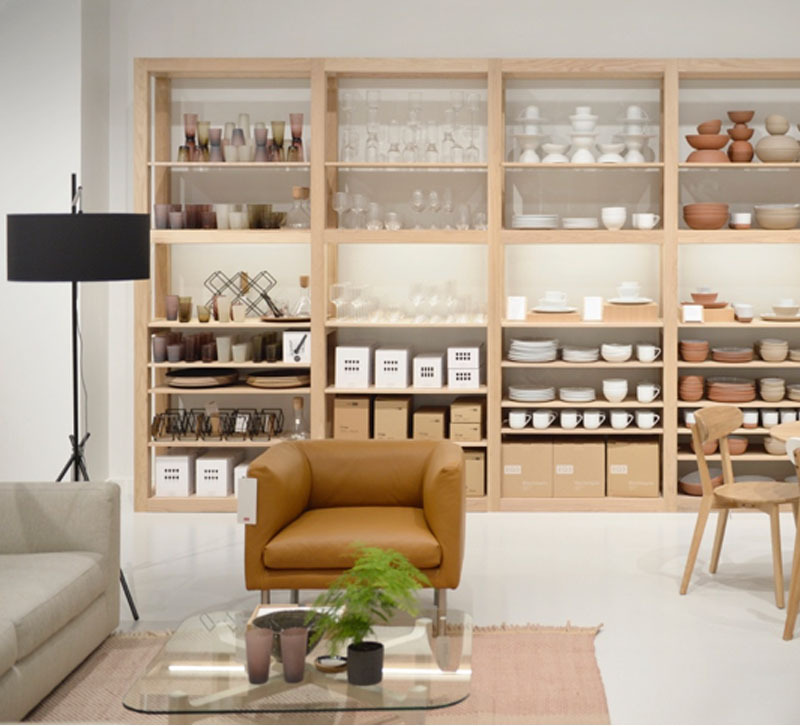 EQ3, the Canada-based retailer and manufacturer of modern furniture and home decor, today announced its expansion in the U.S. with three new retail locations – two in Chicago and a flagship in New York City – all set to open this year. The first Chicago store is located in The Shops at North Bridge downtown and will be followed by a second location in Lincoln Park in summer 2019. The New York retail space will open its doors in Chelsea, also in late summer of this year. These locations join EQ3’s existing portfolio of retail shops in Emeryville and San Francisco, CA. The brand brings to the U.S. its signature contemporary designs, modern furniture and home decor for everyday life, reimagining the EQ3 retail shopping experience within each retail location in the process. The first iteration of this development may be seen at the downtown location. The new retail concept infuses a layer of approachability to modern home furnishings with a compelling brick-and-mortar shopping experience. The layout was designed to create a residential feeling, encouraging a "meaningful meandering" throughout the space. The shopability of the store is also seen through a secondary layer of storytelling. As a customer walks through the space, they experience this dialogue through displays featuring the unique stories behind the products and their designers and how they can be shaped to suit a customer’s home. Furthermore, the Design Centre, a centralized area within the shop, has been reimagined to help simplify the shopping experience, offering free design consultations, details about the customizable furniture options, from sofas to coffee tables, upholstery swatches, takeaway catalogues and seasonal lookbooks that highlight new products and the stories behind them. Customers who visit the downtown store will have the opportunity to experience EQ3’s high-quality, customizable and made-to-order furniture options, at mid-market prices, alongside its expanding accessory line, featuring rugs, lighting and tabletop and decorative items for the home. The breadth of EQ3’s collection will be featured within Chicago’s Lincoln Park location, showcasing larger deep-seated sectionals, dining tables, credenzas and more. EQ3’s product lines in New York will introduce smaller sofas and modular furniture, including expandable tables, storage and accessories. With each showroom, EQ3 will build upon and continue to evolve its retail experience and concept, adapting to the ever-changing market. Being at the forefront of retail trends, EQ3 understands what customers resonate with and will continue to build upon this concept in its showrooms. EQ3’s downtown store is located at 51 E Ohio St., Chicago, IL 60611. Hours of operation are 10 a.m. to 8 p.m. Monday-Friday, 10 a.m. to 6 p.m. Saturday, and 11 a.m. to 6 p.m. Sunday.